Abstract : Generating content for third person games and machinima requires knowledge in cinematography (camera placement, framing, lighting) and editing (cutting between cameras). In existing systems, such knowledge either comes from the final user (machinima) or from a database of precompiled solutions (third person games). 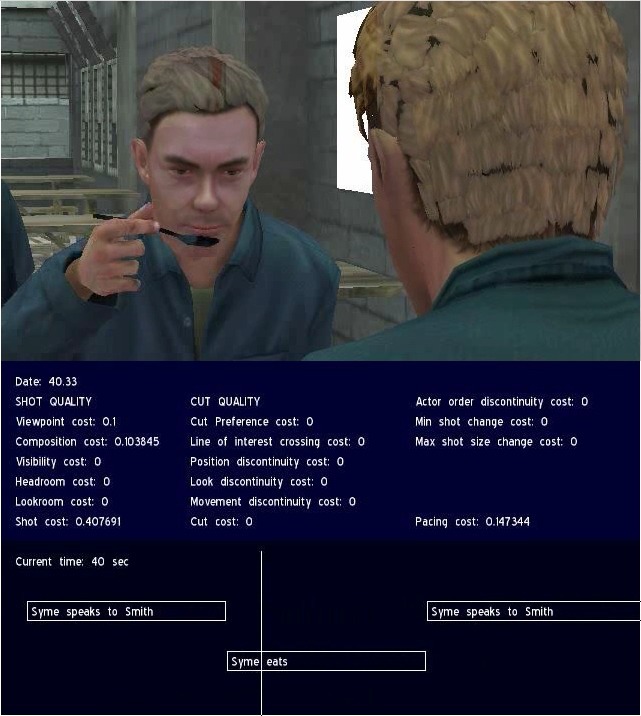 In this paper, we present a system that can make decisions about editing and automatically generate a grammatically correct movie during game interaction. 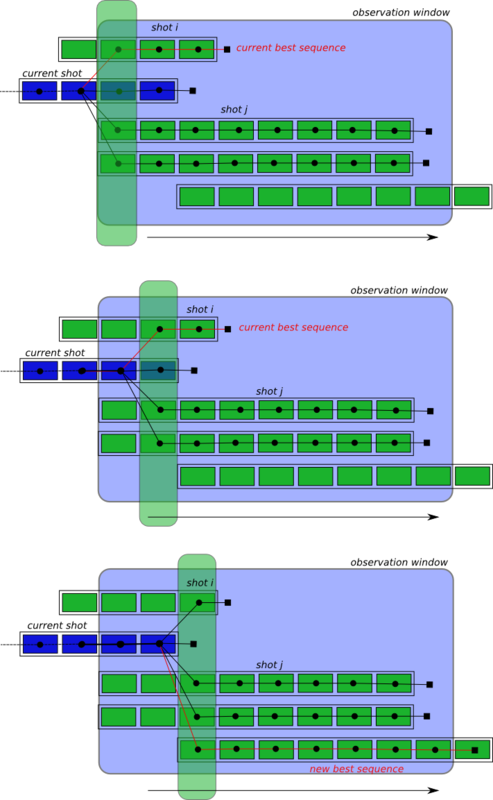 While previous work described techniques for choosing camera setups and generating virtual footage, most of them do not propose general computational frameworks to express variations in directorial styles. We introduce a framework for generating a well-edited movie from such footage, based on film grammar. Our system computes a sequence of shots by simultaneously choosing which camera to use, when to cut in and out of the shot, and which camera to cut to. We cast film editing as a cost minimization problem in the space of possible shot sequences and provide an efficient search algorithm for computing the edit with minimal latency. In contrast to previous work, our method precisely examines all possible edit points and relies on a well-founded model to account for shot duration. Résumé : La création de contenus pour le jeu vidéo et le machinima necessite des connaissances en cinématographie et montage. Nous présentons un système capable de calculer automatiquement le cadrage et le montage des caméras virtuelles de facon a produire un film d'animation au cours du jeu, sans intervention des joueurs. Pour cela, nous formalisons le montage cinématographique comme un problème de minimisation d'énergie et proposons des solutions interactives pour calculer un film de moindre coû, tout en controlant le rythme de montage.